If Santa were a video game character from the 80's, he'd look just like this! 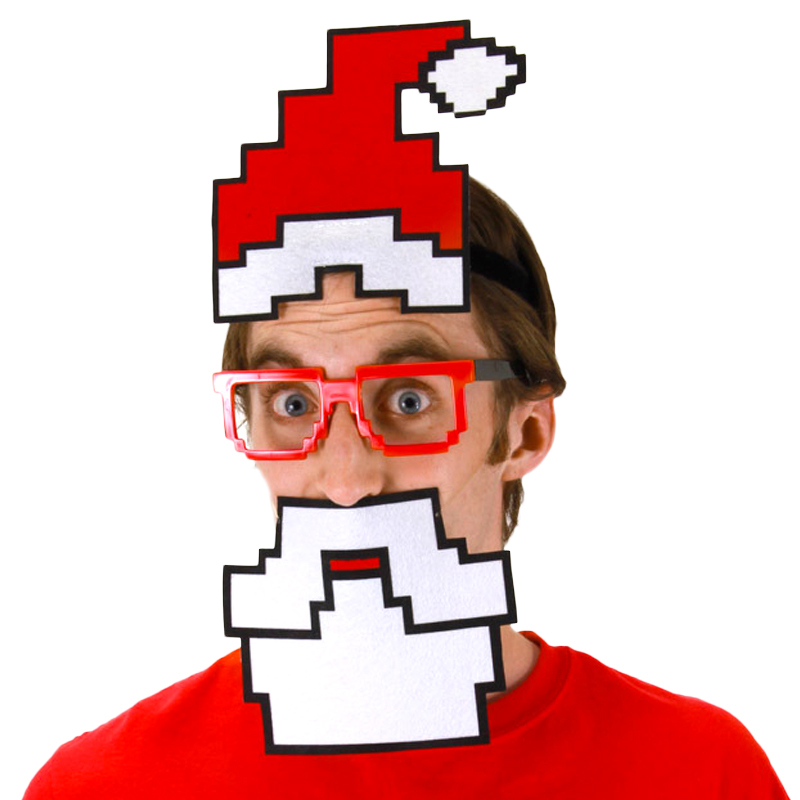 I'm referring to you in this Pixel Santa Costume Kit. People will thoroughly be confused by your dimensionality. Are you a two-dimensional Santa come to life or do they need glasses?